Low Soil P & K Indices – Do They Matter? Yes! Our Coordinator, Peter Hoey, is leaving PDA and we are delighted to say that Ian Matts is taking over from December 1st. Ian is well known in the nutrient industry having done over 10 years with Yara Fertilisers, lastly as Technical Manager for UK and Ireland. 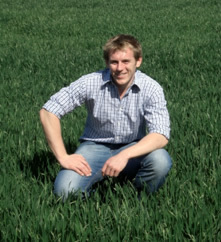 He is now an independent agronomist/consultant, and also the Arable Director of a large farming business in the Midlands. These experiences mean he is well placed to run PDA in the future, and we wish him every success.